In the future, all companies will be tech companies. Traditional firms must upgrade their technological capabilities to match those of their competitors — else they face extinction. Look at the disruption that Netflix, Amazon, and Airbnb have created in their industries and beyond them: Technology is becoming an integral part of companies’ strategy and competitive advantage. This is where tech agencies come in. There are many types of agencies and approaches, but one is unmatched in its execution and value: The model of the embedded teams. There are six key benefits to a tech agency innovating and creating digital services on-site instead of remotely in their own studios, which can in the worst case be multiple time zones away. There’s nothing like sharing an elevator with a co-worker or getting coffee with a colleague downstairs in the canteen. You become friends. When the agency’s team is working at your office they get to know the people they work with and therefore they better understand your needs and wants. You come to trust them, too. That’s useful because nearly every problem in a technological project boils down to a couple of questions, such as; have you understood each other? Are you talking about the same thing? What are your priorities? What do you actually want to solve? Whatever technical adjustments need to be carried out will always get sorted in the end; it’s much harder to build good, honest rapport. Trust is vital. The more knowledge you have, the better decisions you make: When the agency is working alongside you the exchange of information means you both are able to steer projects in the direction that creates real success. Rather than having everyone fixated on an arbitrary goal set at the beginning of the project (an objective that is ultimately just guesswork), you and the agency are free to make changes and adjustments along the way. This more flexible approach is also known as agile software development. Often, what will happen is that you, as the client, will not think to ask for something that is in fact essential for that project, and in turn, the agency will come to find another, more fitting solution buried underneath the various assumptions made in the beginning of a project. But this only happens when you’re working side by side and meeting on a daily basis. Speed matters in technology: Too many tech projects get dragged on for months, even years, making the end result outdated before it is even released. Working on-site allows the agency to build you great technological products with a significantly faster time-to-market. Decisions can be reached more quickly because the agency can consult you and other decision makers right away and you don’t need to be as thoroughly briefed on the progress of the project each time since you’ve witnessed its development firsthand. No more emails on “circling back” or waiting on managerial bottlenecks: Instead the agency has a real feedback loop and they are able to expand their team based on your needs. You save time and money. Even though the agency works on-site that doesn’t mean they’re part of your company. They retain some of their autonomous decision-making, which in turn allows them to build better products: They get to put their expertise into real use, also in terms of leadership. This is especially true of agencies that work in a self-organized fashion in self-managing teams. In this type of setting, the people who have the most experience on the agency side get to make the decisions. They also make smarter choices because they have immersed themselves in the company and are therefore acutely aware of the larger picture or the context around those decisions. But the detachment from the client also means the agency is free to ask the important “stupid” questions without losing face. Your technological needs are constantly changing: When you have an agency working on-site you can more efficiently and quickly steer the project in a direction that solves those needs. 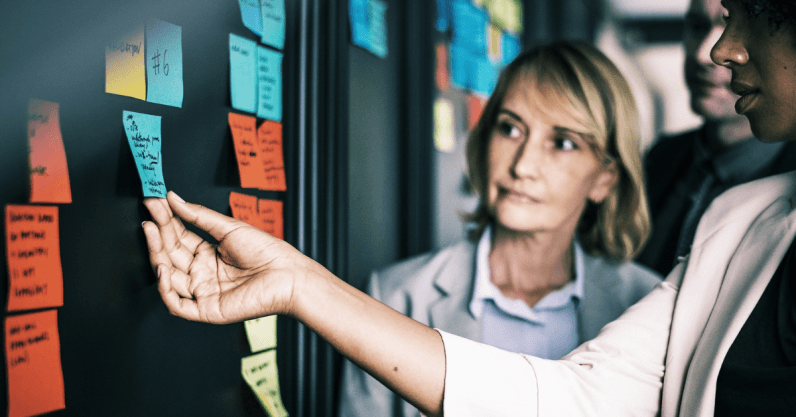 Rather than rigidly sticking to a project plan, and having the agency build something in a black-box manner wherein they only occasionally check in with you, you’re able to constantly oversee your product’s development. That’ll make you less stressed, too, as you’ll be able to see constant progress. Instead of endless presentations full of big promises you’ll get actual working software. Tech agencies have capabilities that your firm needs; that long-line kind of knowledge of solving complex technological challenges. When that agency works out of your office a lot of their know-how is passed on to you and your employees, in both obvious and in subtle ways. When the agency’s team then leaves, after several months or even years, you’ll find that those capabilities have transferred over – not only in terms of technological skills but also in terms of things like project management, agile working culture, and social adaptability. This last point is, in my opinion, the most pertinent and something I have witnessed over and over again in my over ten years working in the field across continents. Nowadays the cliché of developers working on green matrix-like code in a basement surrounded by empty cans of energy drinks couldn’t be further from the truth: It’s a human business. By hiring an agency to work out of your office you’re adding a human layer to your technology – without compromising on quality. That’s what brilliant technology is all about: It’s made for people, by people, solving real human needs.